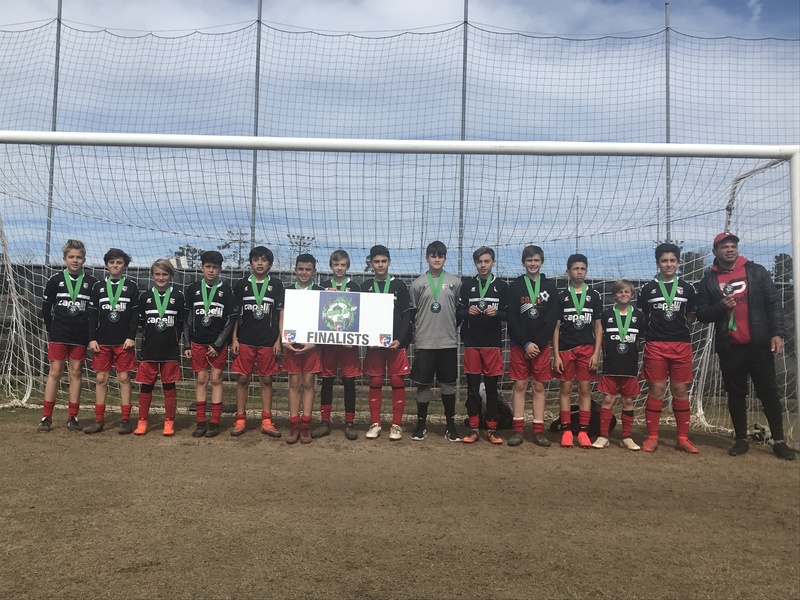 The luck of the Irish shined on four Coast FA teams over the weekend at the St. Patrick’s Cup in Columbia, South Carolina. Two teams returned home with championship trophies and two claimed finalist awards. Coast teams battled a very competitive array of teams that included over two hundred entrants. 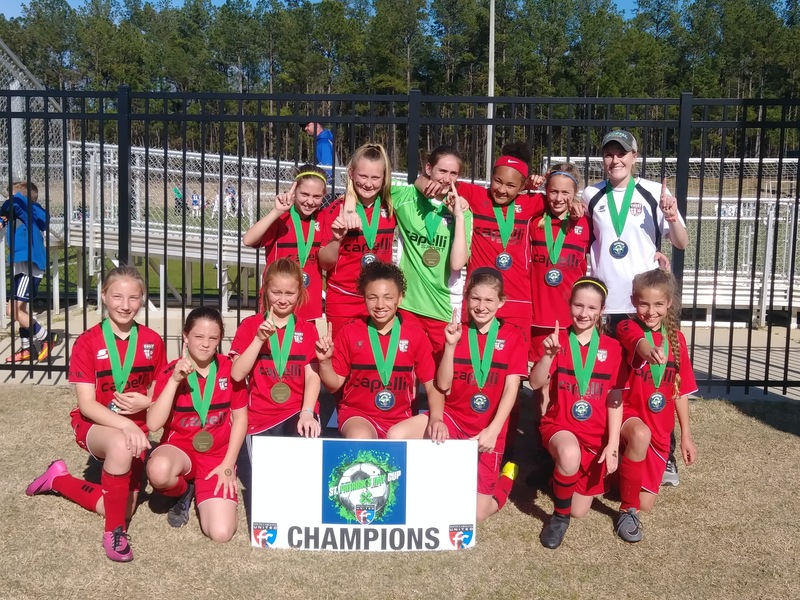 The Coast 07 Girls Red (click for image) reeled off four consecutive victories to claim top honors in the U12 division while conceding only one goal over the course of the tournament. The results came against three Charlotte Soccer Academy teams and the SCUFC Challenge squad. “The girls made me so proud this weekend. It was great to see all of the pieces that we work on during practice come together. It was a total team effort and I am very pleased with their performance. They deserve this award after all of their hard work” said Coach Mel Flatter. 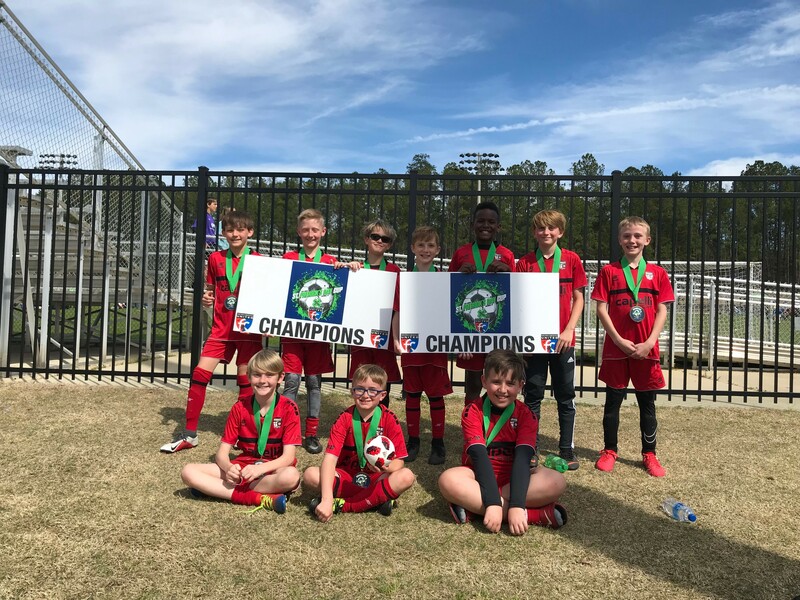 Coach Noah Gulley and Coach Conner Norton Baker led the Coast 08 Red (click for image) to the championship podium in the U11 division. The boys showed grit and determination during their four matches with three decided by a single goal. The championship match saw the boys battle back from a 0-1 halftime deficit to claim a 2-1 result. “ The 08 Red has been through a grueling first division CPL league schedule this spring so it was nice to see them have a successful tournament result” said Coast Director of Coaching Ross Morgan. 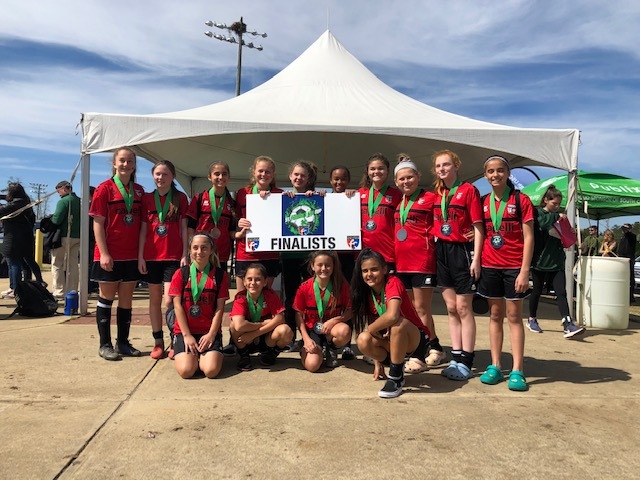 The Coast 05 Red (click for image) and Coast 06 Girls Red (click for image) came up one win short to claim finalist medals in Columbia. The 05 Red posted lopsided scores during pool play but fell 2-5 to SCUFC Premier in the championship. The 06 Girls finished with two wins, one tie and a loss to Charlotte Soccer Academy in the final.